Former Rangers manager Mark Warburton says he is delighted to see the Gers backing Steven Gerrard in terms of player recruitment, with the Glasgow giants needing to change approach from when he was in charge. The 56-year-old was the manager at Ibrox between 2015 and 2017, helping the Gers earn promotion to the top division in his very first year in charge. His first victory in an Old Firm clash came in 2016 in the Scottish Cup semi-final, where they beat Celtic 5-4 on penalties. 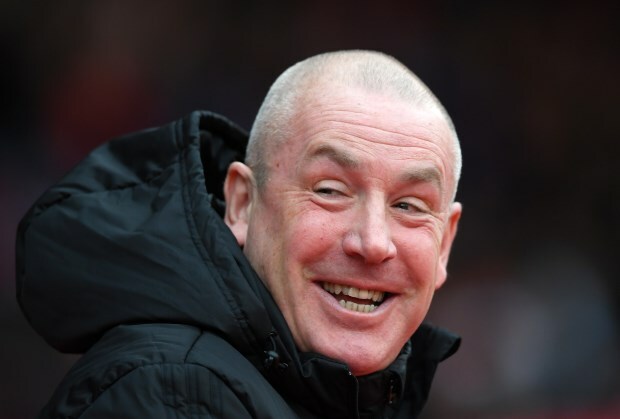 Warburton was tasked with revamping the squad and dipped into the free transfer market, while also working to get the best out of younger players – and he feels beating Celtic consistently with such a group was never going to happen. As such, Warburton has backed Rangers giving Gerrard good money to spend in the market. However, the former Nottingham Forest boss will make no comment on where the cash to back Rangers is coming from. Warburton was quoted as saying by the Herald: "When you go with really young players and free players, you are never going to beat Celtic consistently. "You have to invest, so I am delighted for Steven that they are seeing the investment coming through and bringing in quality players. "If you are going to beat Celtic on their Champions League money, Rangers have got to invest. "I'm not sure where the money is coming from, it's not my business, but you are seeing now some investment in the club, which is great for Steven and great for the fans, and hopefully it gives us a really strong title race and they can get over the line." The Gers are currently placed second in the Scottish Premiership table but are six points adrift of their rivals Celtic.